Every once in a while a mod comes along that completely blows me away with how much it adds to the base game. 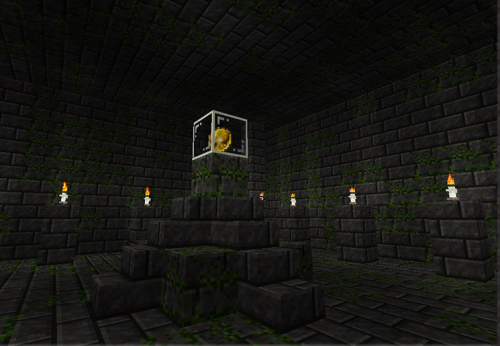 The Artifacts Mod for Minecraft is one such mod. Minecraft is incredibly popular, partly due to the amount of impact the player has on the world and partly due to the amount of freedom the players get to play in their own worlds. As a sandbox game Minecraft is both insanely fun and has plenty of replay value. One of its main negative points is its lack of goals. Nearly all goals you’ll aim for in Minecraft are set by yourself which is never a bad thing but when compared to games like Terraria which combine a fun sandbox experience with several open-ended goals to achieve, you can see where Minecraft could benefit from something similar. This is where The Artifacts Mod comes in. This mod brings some of its own open-ended goals into Minecraft without diluting the base experience of the game. The mod allows you to achieve certain goals in order to gain some powerful but balanced items into the game. The goals aren’t by any means easy to achieve, to even begin having any hope of completing it you’ll need to have been to the Nether and have some diamonds ready. The mod follows a simple line through the different stages of the goals, you begin by collecting 15 secret orbs spread across the map in hidden locations and then using them to open the doors to one of six themed labyrinths which you can adventure through to gain a special reward at the end. Once you’ve gained all six rewards you’ll be able to visit a seventh temple which nothing has been revealed on yet. Some may say that the items this mod adds unbalance the game but I would disagree, the unbreakable armour and pickaxe that you gain from the temples all use charges somewhat similar to magic items in Oblivion. To repower the items and make them useful again you’ll need to figure out a secret recipe and find a new rare ore called Orichalcum, which sounds like no easy task. In addition to this, your orbs can be stolen from you by a new mob added into the game. As you gather more orbs you’ll find yourself being stalked by thieves who won’t be easy to dispose of.